Looking for entertainment to fit a unique themed event? Need to set the mood for your party with music and dance? Chase Music knows those specialty acts that make your event over-the-top fabulous! Jazz, Big Bands, Dixieland, polka, junkanoo and a Carnivale review! We can fill those hard to find entertainment needs with professionals who love their special niche! Click the Silver Play Arrow below the Photo to Listen. Click the Photo to see it Larger. Big bands are back! 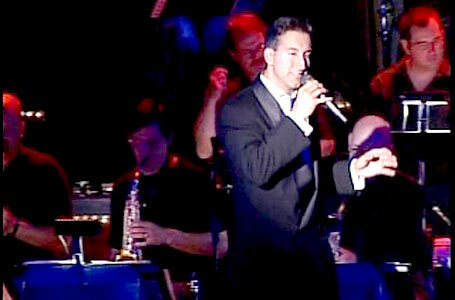 Bandleader and leader singer Marc will make the women swoon with his sensual tone. Vibe, never sounded better. This swinging jazz orchestra is composed of veteran, swing and jazz players. Enjoy the classic arrangements of your big band favorites! This group of studio musicians has become a fixture on the local south Florida jazz scene in the last few years. Not only are they versatile, but perform each style with total authenticity. Drummer Orlando Machado leads this incredible trio when he is not working for Julio Iglesias, Marc Anthony and Arturo Sandoval as their main percussionist on tour. Master of Smooth Jazz, an outgrowth of fusion, one that emphasizes its polished side. Generally, smooth jazz relies on rhythms and grooves instead of improvisation. 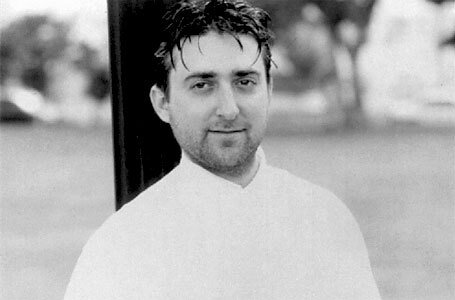 Scott is without question the brightest star on South Florida’s Jazz scene! Available as a single up to six pieces. 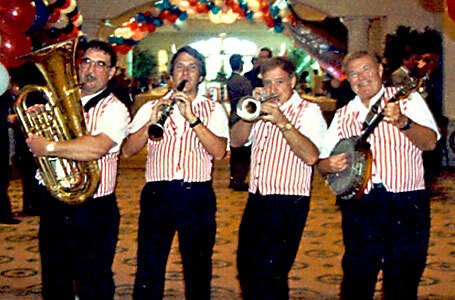 Miami Beach’s PREMIER Dixieland Jazz ensemble. 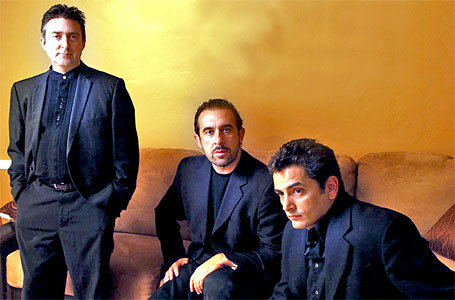 This highly versatile and entertaining group provides both high class Cocktail, Lounge, & Background jazz. Or for the more energetic party-goer, full-on, happy, New Orleans style Traditional Jazz Dixieland musical entertainment for your listening and dancing pleasure. Smart appearance and 30 years of experience with corporate events! Not only are they a top-notch swing band but they are highly versatile, able to switch over to variety dance music if your crowd needs a little change of pace. Jazzy swing music at its finest. They can work as a jazz trio, quartet, right up to a full big-band. Choose either costumes or traditional tuxedo... Whatever it takes to make the job a success you can count on them. Listen to House of Polka! Oktoberfest is of course a popular time for polkas and lederhosen. This group ads a great festive air to any German themed event. 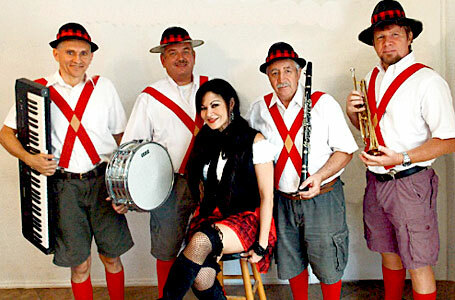 Their colorful costumes and lively music will brighten any event. 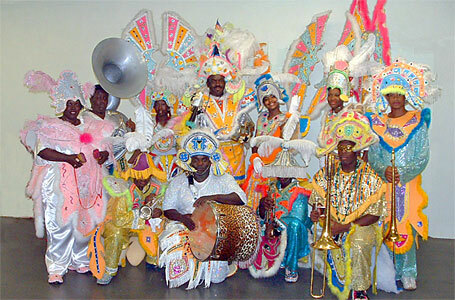 Junkanoo is a colorful parade of festive dancers and rhythm musicians. Junkanoo is still celebrated, particularly in the Bahamas and Key West. Using drums, percussion, horns, whistles, and brass instruments, marchers in bright, glimmering costumes attract a joyous crowd wherever they parade. Boogie Nights is a fantastic tribute to the fabulous disco scene! True to the spirit and look of the 70’s this band captures all the fun and excitement of Disco dancing, when the songs had melodies and everyone could sing along. To enhance the effect or extend the evening a DJ can be added at an additional charge. ©2019 Chase Music & Entertainment – South Florida’s Best Party Bands and DJs Since 1975. Serving Miami, Ft. Lauderdale, Boca Raton, Palm Beach, Naples and Miami Beach Florida.